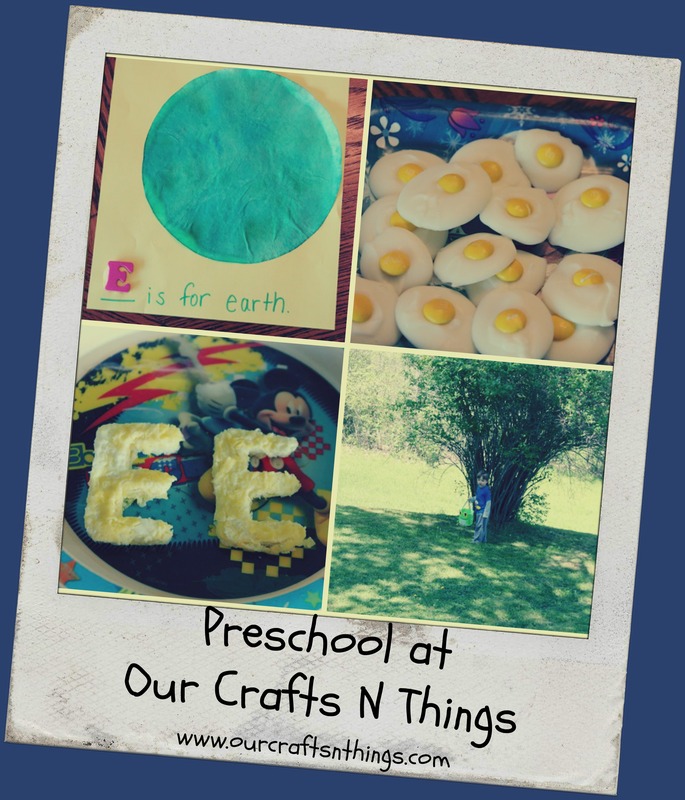 Apparently, I didn’t take very many pictures of our letter E activities because I don’t have a lot to share. 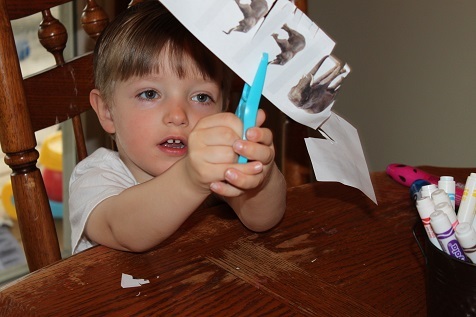 So, here are some of the activities we did for the letter E.
Hunter practiced his cutting by cutting apart some elephants. 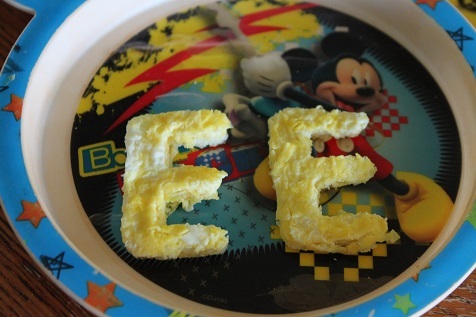 Hunter eats scrambled eggs for breakfast every day so I cut his eggs into an E shape. 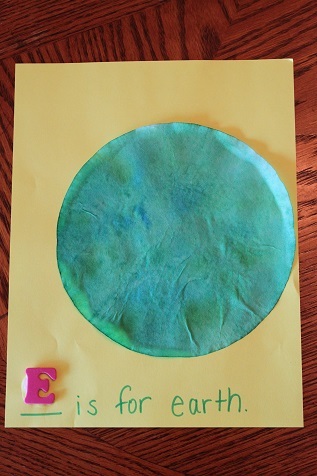 He made this “E is for earth” craft. First he colored a coffee filter with blue and green, then we sprayed water on it so that the colors would run together. 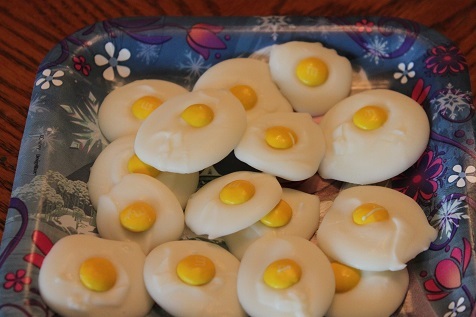 I made these cute chocolate eggs. I just melted some white chocolate, then put a yellow M&M in the middle. 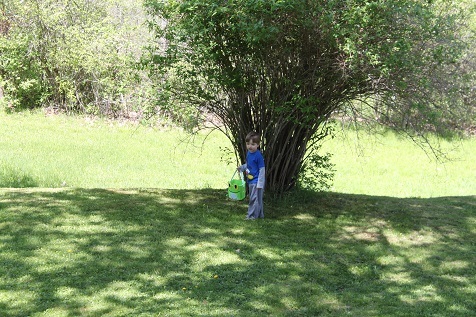 Hunter glued eyes on the letter E.
Hailey hid some plastic eggs in our backyard and Hunter did an egg hunt and found all of the eggs. We only have letter R left to complete Hunter’s name. Then we will take a break from letters until we start back to school in the fall. 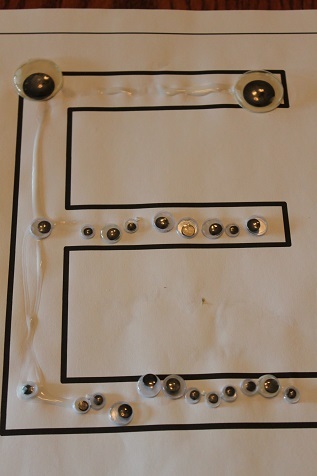 Our focus this summer will be on reading lots of books and doing activities related to what we are reading.